Once I started listening I couldn't stop. I burned through it in 1 day. 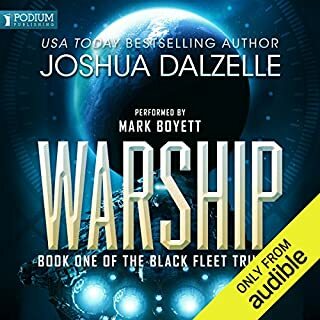 Warship is a great beginning to the trilogy. The book has just the right balance of action, intrigue and character development. I just wish it were longer. I can't wait for the next in the series. Very slllllooowwww start, but really throttles up! Drake spends the first half of the book developing the hero & heroine characters. I started to skip to another series, but I'm really glad I stuck with it. Once the shooting starts, it's non-stop. Looks like I'm spending the next couple of months on another multi-book series! This book is paced perfectly and the performance is the best I've experienced on Audible. 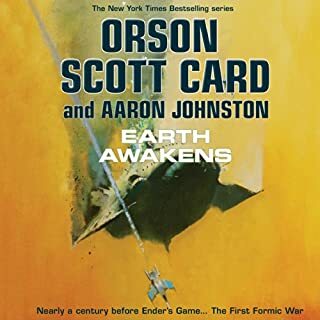 What other book might you compare Earth Awakens to and why? Ender's Game and the entire Ender Trilogy. Orson Scott Card is a masterful writer who blends character development and action in just the right proportion. The performers of "Earth Awakens" turn the novel into a very real theater of the mind. I wanted to listen to it all in a single sitting, but it took three days for me to find the time. 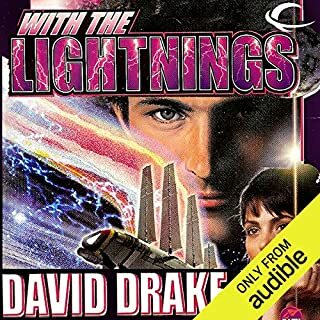 This (and all books in the Ender's series) is the best Audible has to offer.